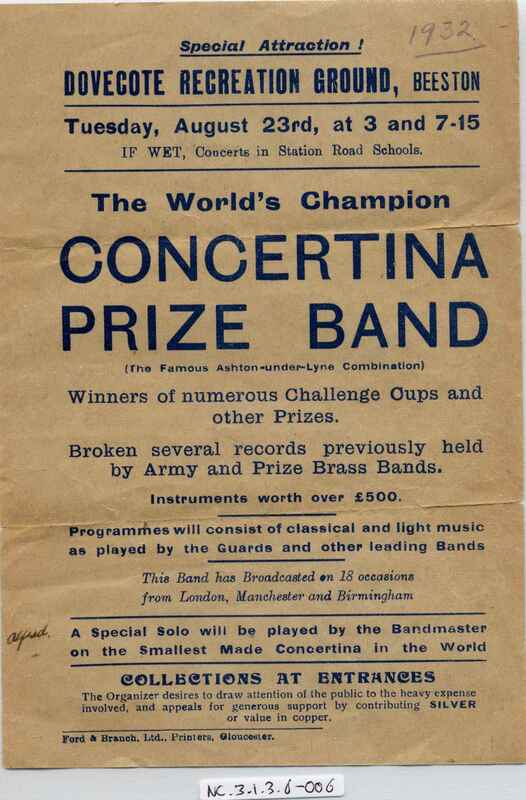 Full Description: The Alfred and Herbert Worsley/Ashton-u-Lyne Concertina Band Archive: A Band poster/promotional leaflet, for a performance at Dovecote Recreation Ground, Beeston on Tuesday August 23rd (and dated 1932 in pencil, and “Alfred” in ink). Includes much praise, listing the band’s achievements and broadcasts. (A similar poster is at NC.3.1.3.6-007).